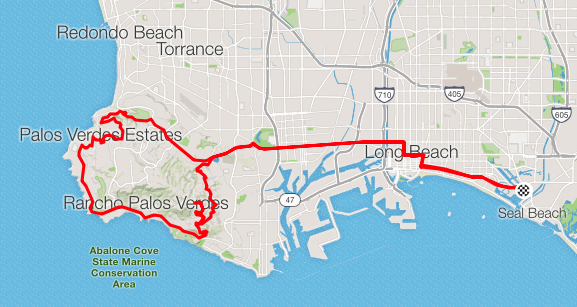 For all club rides, pace is 18 – 20 mph for approximately the first 10 miles. 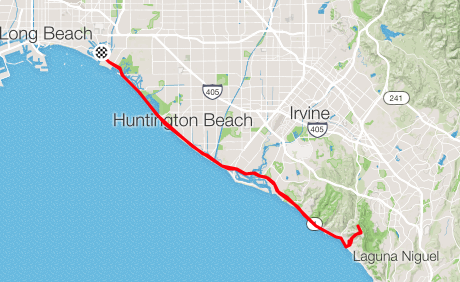 After a short break, the pace increases to 20 – 25 mph, depending on conditions, until the last 15 miles or so when the pace increases again. As we have members of varying abilities, we re-group at the tops of climbs. Club etiquette is to stop for all mechanical issues. 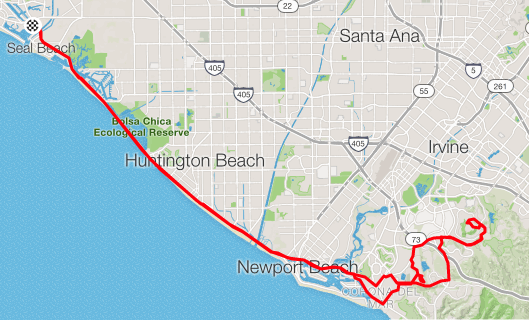 Each club ride has a tab on the left, below. 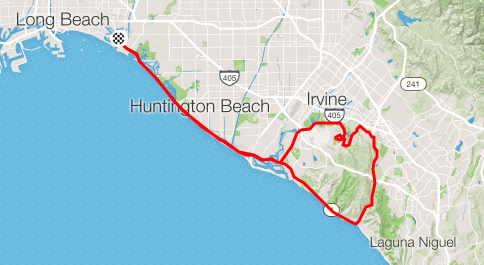 Click the tab for details of that ride including a link to the Strava route page where you can download the GPX file for your Garmin. 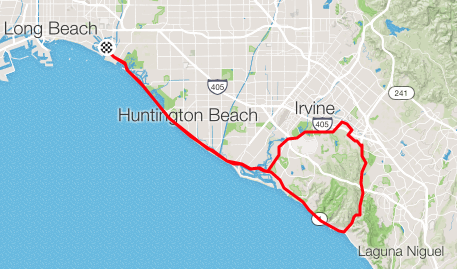 Click here for instructions on how to add a Strava GPX file to your Garmin. 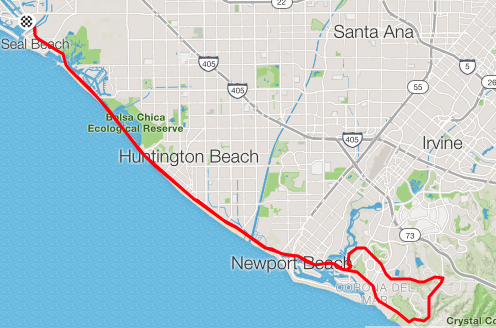 Click the map for the Strava route page for downloading GPX and / or TCX files. 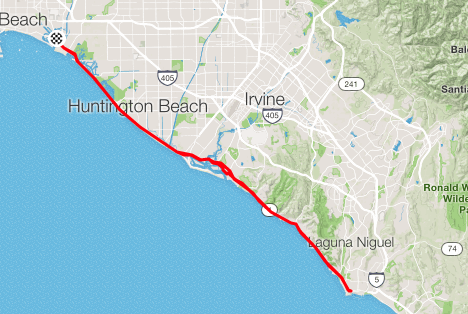 Note, you must be logged into Strava to access the downloads. Terrain: Flat with a short climb up Marguerite. 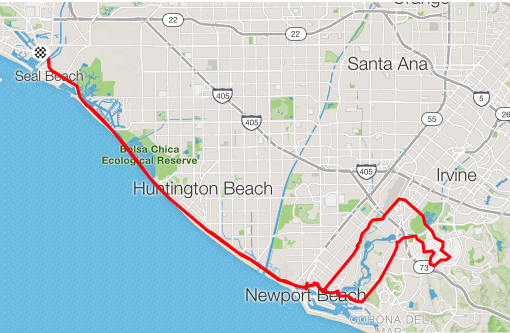 Click the map to download the GPX and / or TCX files. Terrain: Flat with a climb up Newport Coast and a short climb on Spyglass. 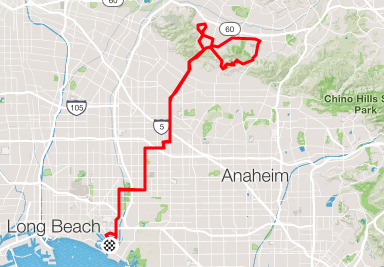 Stops: Starbucks at PV Drive N. & Western and Water Fountain at PV Drive E. and PV Drive S.
Stops: Starbucks at PV Drive N. and Western Ave.
Terrain: Flat with moderate climbing followed by rollers. 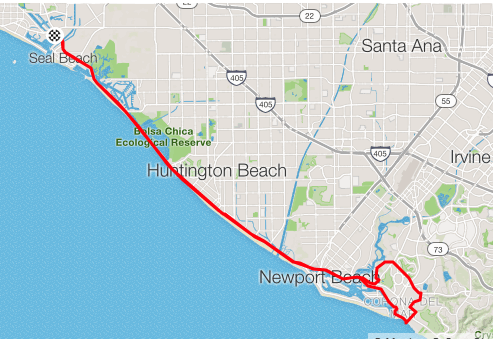 This is a 70.15 mi Bike Ride in Long Beach, CA. 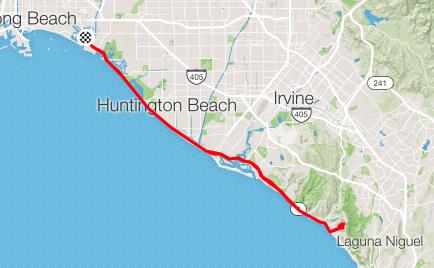 The Bike Ride has a total ascent of 2364.56 ft and has a maximum elevation of 1,086.84 ft. 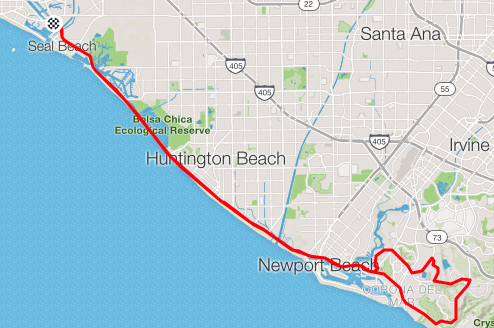 This is a 55.3 mi Bike Ride in Long Beach, CA. 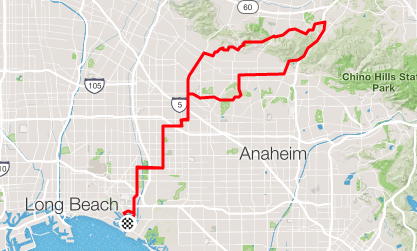 The Bike Ride has a total ascent of 2347.41 ft and has a maximum elevation of 1,086.84 ft.
Terrain: Flat with rollers and short climbs. 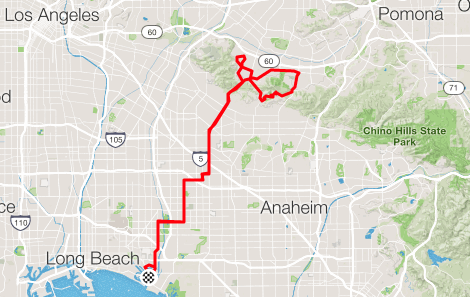 Terrain: Flat with a multiple short climbs. Terrain: Flat with a couple of short climbs. Stops: Arco at Valley View and Alondra and Chevron at Colima and Whittier Blvd. Terrain: Flat with sustained climbing. 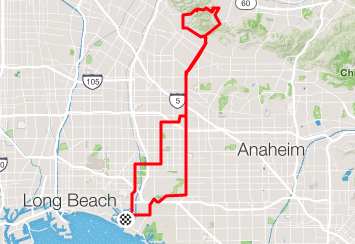 This is a 73.87 mi Bike Ride in Long Beach, CA. 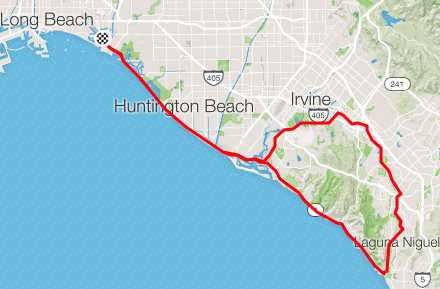 The Bike Ride has a total ascent of 1761.07 ft and has a maximum elevation of 1,447.15 ft.